While HMD Global has been the subject of controversy regarding their cooperation with the custom development scene, their commitment to software updates certainly can’t go unnoticed. They’re one of the first major smartphone manufacturers to release Android Pie officially for their devices. They were also one of the first manufacturers to bring Google’s Digital Wellbeing to their Android One-powered smartphones – the Nokia 7 Plus and the Nokia 6 Plus. At the time, HMD Global’s Chief Product Officer of Nokia products, Juho Sarvikas, also said that Android Pie would make its way to other smartphones in the company’s lineup. 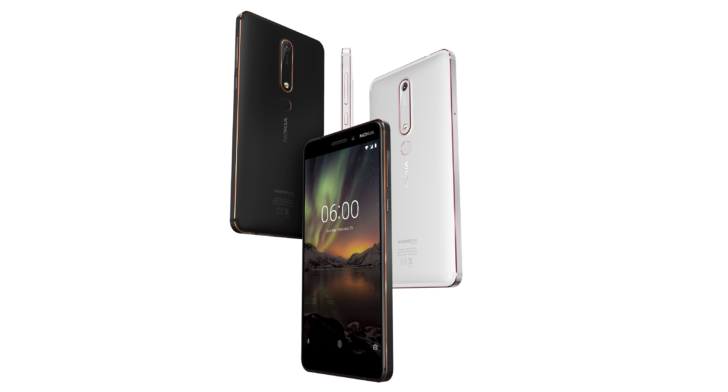 The Nokia 6.1 is now the latest phone from the company to receive the update, and it’s rolling out now. The update should not come as a surprise to anyone, given that HMD Global announced a number of their smartphones would receive the update at the launch of the Nokia 7.1 in London earlier this month. While Nokia’s Android Pie update is very close to stock, the update itself brings a lot of changes to the Android system. Android Pie contains a number of great new features, such as new gesture controls, optimized system performance, Adaptive Battery, App Actions and Slices, and more. Not only that, but it’s good for system security to keep your device updated, and also shows a commitment from the manufacturer to ensure that you have a good experience with their product. The update also promises enhanced camera features, including Google Lens integration. As the Nokia 6.1 is a part of the Android One program, it’s no surprise that it is one of the first devices to receive Android Pie. The Nokia 6.1 Plus is likely the next smartphone on the agenda from HMD Global to get the update, given that it has already received a beta upgrade that users can opt into if they wish. Users looking to upgrade their Nokia 6.1 will have to wait for the update to arrive on their device via OTA, or download the OTA ZIP file below. Companies tend to send out updates via staged rollout so that not everybody gets the update at once and it can be canceled if there are any major issues.